HeadRed are pleased to announce that we will be speaking at SMEGlobalTech 2014, a free event organised by West Midlands Business Export. 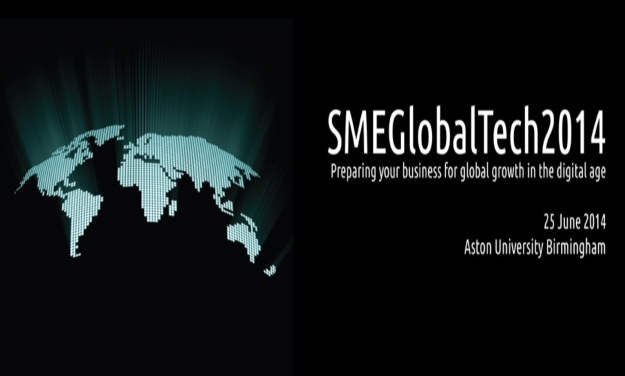 SMEGlobalTech 2014 is an all-day event being held at Birmingham Aston University on 25 June, aimed at SME businesses based in the Midlands looking to grow in the UK and international markets through the use of technology. Covering topics such as the future of the web, digital marketing, social media, mobile apps, games and new technology, the event will provide great insights into how a business can grow through embracing digital. On the day I will be speaking about metrics, analytics and optimisation in my presentation, followed by a Social Media workshop in the afternoon which the HeadRed team will be running. If you’re interested in attending the event, it is completely free to eligible businesses, so find out more on the WM Business Export website to register your place.